Elevating Calgary’s cultural landscape with the best in international independent cinema, the Calgary Underground Film Festival returns for its 16th year with unique films, one-of-a-kind parties, and so much more. 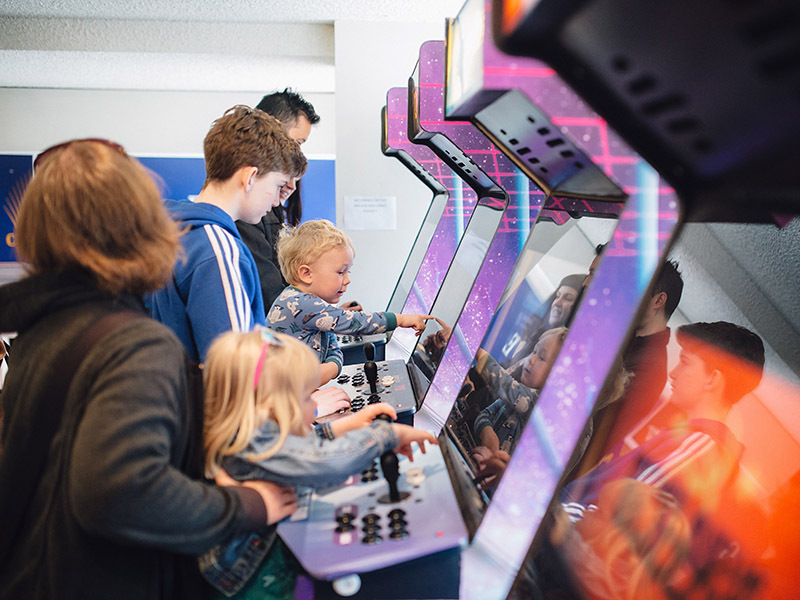 The seven-day festival sees 30 features and 33 shorts screened alongside audience favourites like the annual retro all-you-can-eat cereal party and custom arcade cabinets in the CUFFcade. It all kicks of with the Canadian premiere of Little Monsters, an Australian zombie horror rom-com that follows a washed-up musician who teams up with a teacher and a kids show personality to protect young children from a sudden outbreak of zombies. Anchored by an unflinching performance from Elisabeth Moss and supported by a stellar ensemble cast, Alex Ross Perry’s Her Smell examines the grit, grace, and gravitas of an unforgettable fictional rock star crashing into the harsh realities of mid-life. Don’t miss the Alberta premiere of a film that is sure to be a festival favourite. This debut feature from local filmmaker Cameron Macgowan is a satirical horror/thriller that asks the age-old question—just how well do you know your neighbours? Macgowan, along with local cast and crew members, is expected to be in attendance for this Canadian premiere. A one-of-a-kind CUFF-favourite that showcases footage from videos that were found in garage sales, thrift stores, warehouses, and dumpsters across the country, the Found Footage Festival returns with two screenings this year including this special lineup. See curators Nick Prueher and Joe Prickett share their raunchiest, most unsettling, and patently misguided finds for one-night-only. Always a great bet, here’s your chance to relive the exciting Saturday morning ritual of non-stop retro cartoons and binge on the multi-coloured sugary cereals not usually available in Canada. Jammies are totally recommended. Trust no one but yourself and follow along through these terrifying experiences. Shorts include Ilja Rautsi’s Helsinki Mansplaining Massacre, Matt Prazak’s I Swallow Your Secrets, David Barlow-Krelina’s Caterpillarplasty, and many more. An annual tradition, this special screening has typically only been open for passholders, but not this year. Grab your tickets to see a highly anticipated film—you just won’t know which one until the show starts. 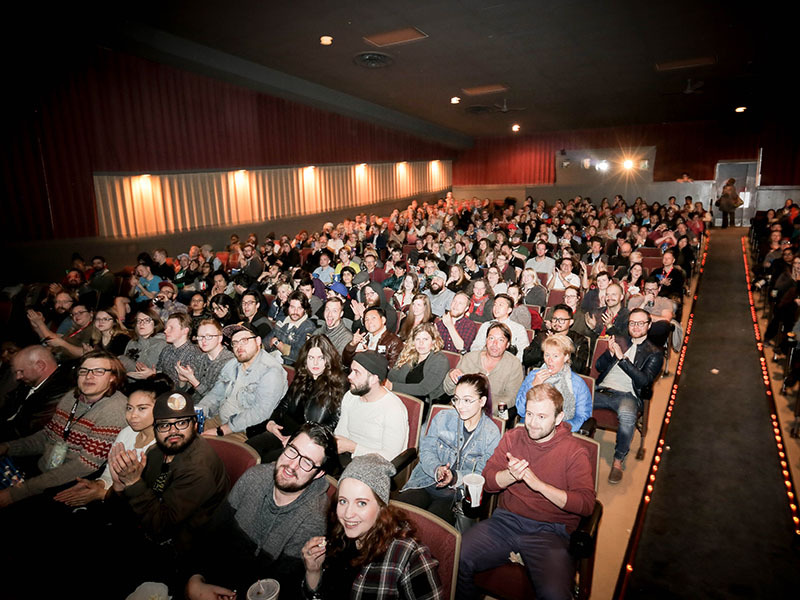 CUFF screenings are licensed, with the festival bar serving beer, wine, and mixed drinks, and before all screenings DJs are set up in the theatre, performing music inspired by the theme of the film. The Calgary Underground Film Festival runs April 22 to 28, 2019 at the Globe Cinema (617 8th Ave. SW). Head to calgaryundergroundfilm.com for the full schedule.